Which is more preferable: ‘can’ or ‘be able to’? Is the verb ‘could’ used to ask as well as give permission? What verbs should I use when I want to express a possibility? What verb do I use for expressing past obligations? The verbs can, could, may, might, must, will, would, shall, should, ought to, used to, need and dare are used with infinitives to express permission, request, possibility, necessity etc. 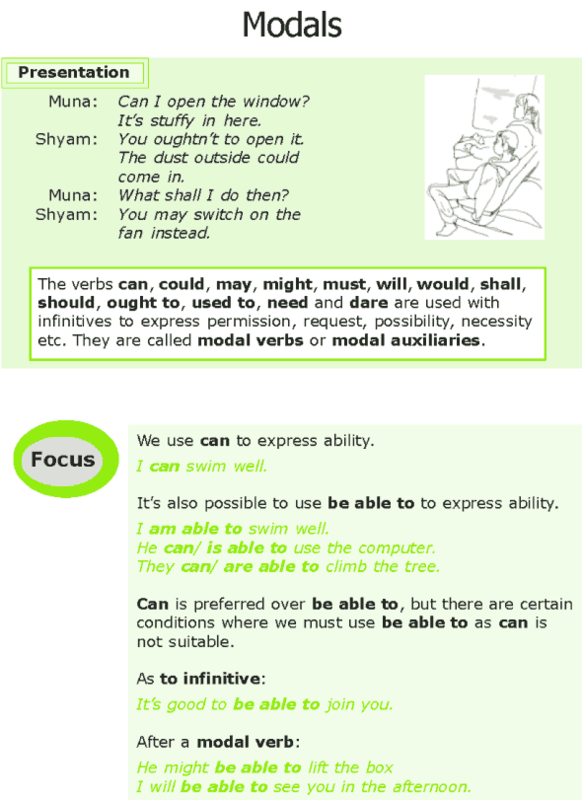 They are called modal verbs or modal auxiliaries. It’s also possible to use be able to to express ability. Can is preferred over be able to, but there are certain conditions where we must use be able to as can is not suitable.